Donald Trump screamed for a wall along the border, and crowds cheered. Bernie Sanders derided all of Wall Street as filled with greed and fraud, and crowds cheered. Messages of fear or anger seemed to punctuate the fraught 2016 presidential election cycle, but it is nothing new. As long as democracy has existed, politicians have used fear as a weapon to win elections. The ancient Greek historian Polybius actually thought politics based on fear would destroy democracy. Yet more than 2,000 years later, candidates from all political persuasions still keep messages of fear tucked into their campaign arsenals. And that’s because fear appeals tend to work. That feeling of unity stems from deeply ingrained ideas that people absorb from an early age. 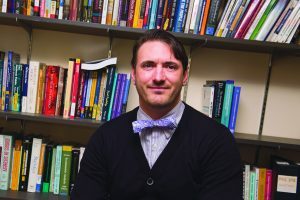 Related Article: Reversing the toxic talk of political discussions Joseph Zompetti, a professor of communication at Illinois State, authors new book, Divisive Discourse: The Extreme Rhetoric of Contemporary American Politics. 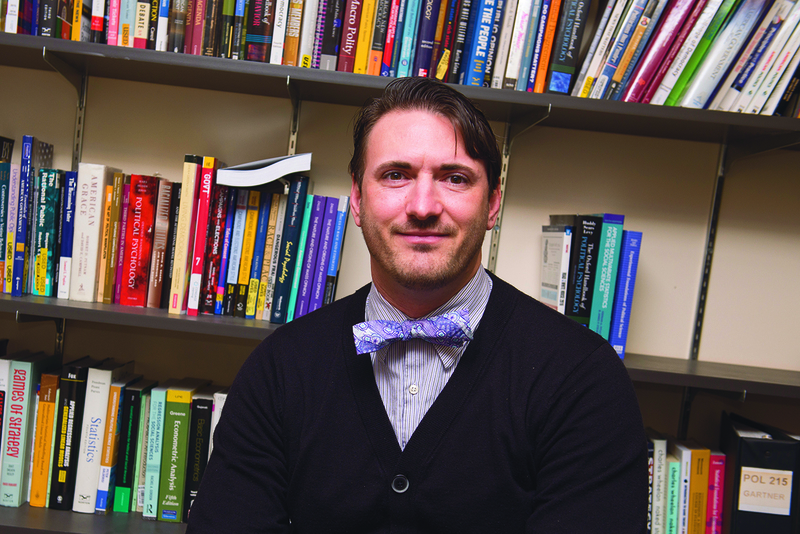 According to Assistant Professor of Psychology Eric Wesselmann, when people have their core beliefs challenged, they often experience intense anxiety and a desire to reaffirm what they believe to be true. “Extremism—or digging in one’s heels—is a way of reducing that anxiety,” said Wesselmann. He added that politicians on both sides of the aisle can strategically use fear not just to bond with an “in-group” that shares similar ideas, but to openly exclude the “out-group” that thinks differently. Excluding the out-group can minimize the instances that one’s beliefs will be challenged. To keep the fear alive, a politician, might highlight immigration or poverty one month, and the next move to the threat of ISIS or fear of war.